Pretty in purple! 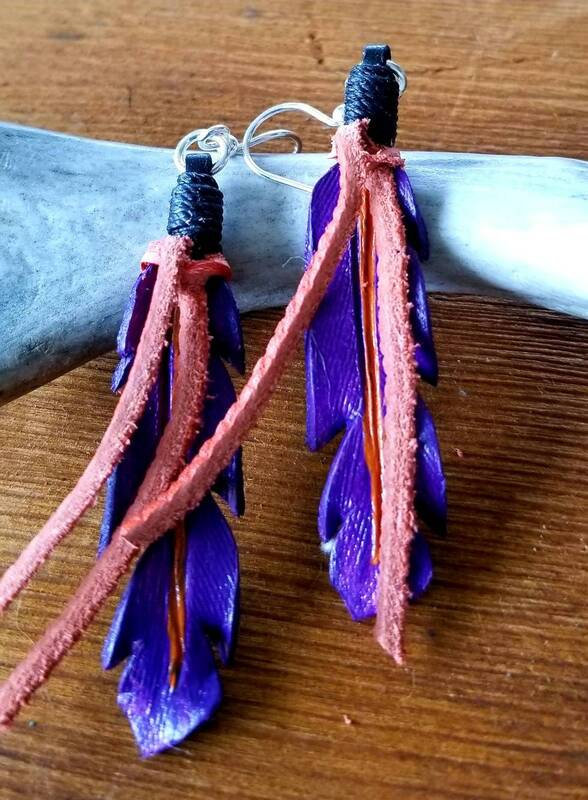 These 2 inch long medium feather earrings have been hand-cut from leather before being wet formed into their pretty feather shape. 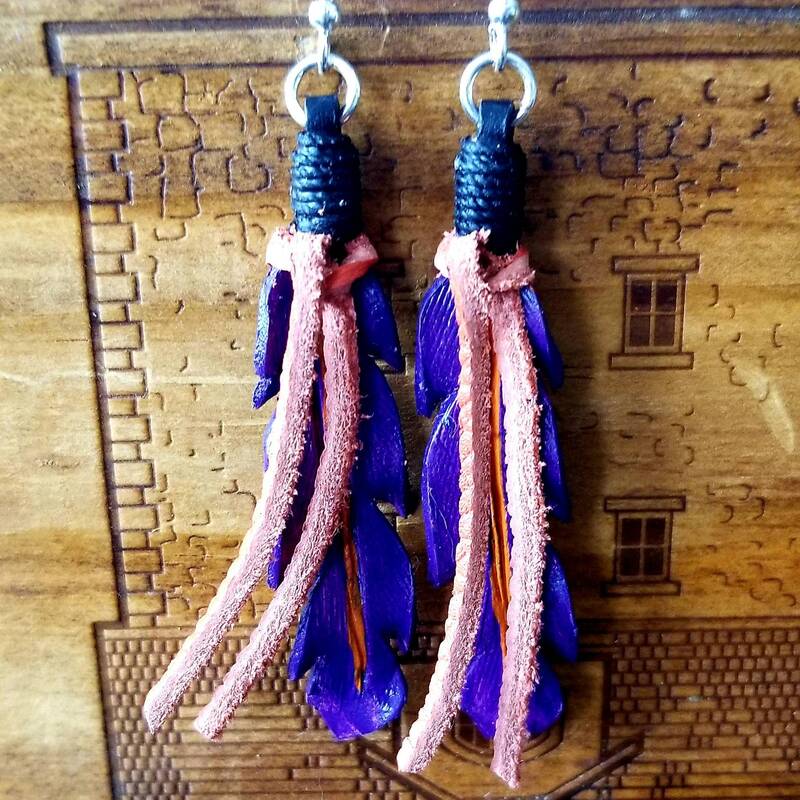 Painted in a deep purple and accented with orange. Sure to be a summer favorite!! 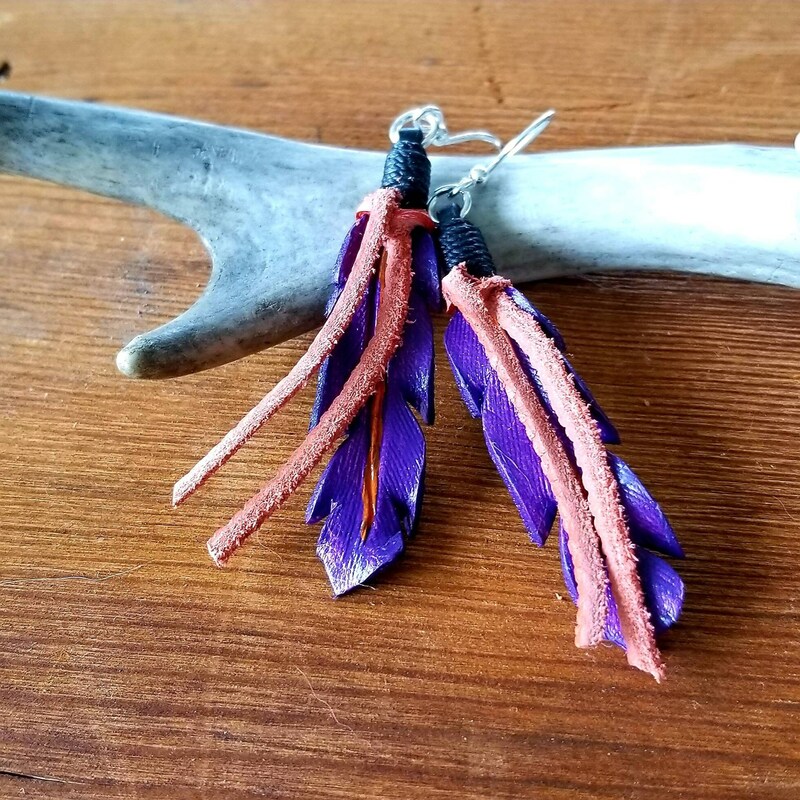 The feathers hang from nickel free silver earring wires.